Search Results for "police helicopter"
Helicopter flying above the Los Angeles, Beverly Hills area. Light helicopter approach for landing. Helicopter diagonally descending, with downtown buildings in background. 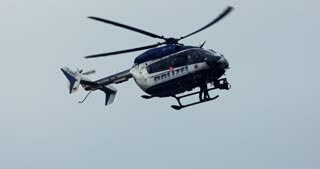 AERIALS MS of police helicopter flying. Police helicopter spying. Police service commonly use aircraft for traffic control, air patrol and control of large-scale public events. Police helicopter flying out on police operation. Portland, Victoria, Australia 10-04-2018. 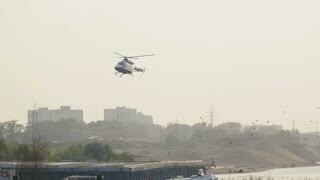 Police helicopter starting up to fly off on police operation. Portland, Victoria, Australia 10-04-2018. Police helicopter lifting off to fly out on police operation. Portland, Victoria, Australia 10-04-2018. Police helicopter above Vienna, Plane passing by in the background. Police helicopter following some narcos at the beach of cadiz on a rainy day. 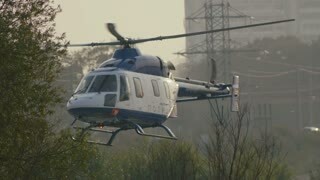 Shaky amateur witness footage tracking police helicopter flying over Los Angeles neighborhood. 4K UHD. A police helicopter sits in a hangar. A worker does maintenance on a police helicopter.